A memo filed Monday contends that the team can still use the name — but so can everyone else. 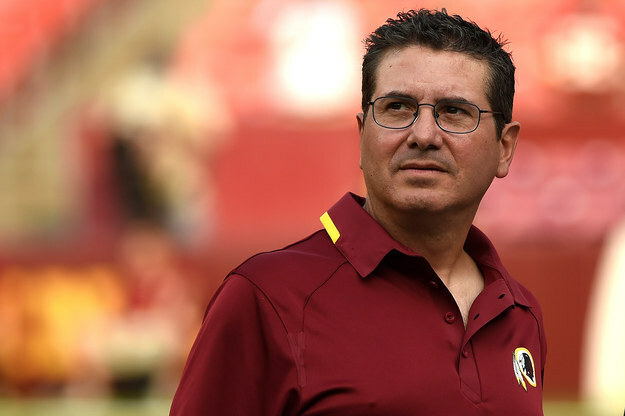 The Redskins still have the right to use the name, but according to a Department of Justice argument filed in a federal court on Monday, so does everyone else. In 2014, the United States Patent and Trademark Office the team’s registered trademark, saying the name is “disparaging” to Native Americans. The team filed a lawsuit against the Native American activists who filed the original complaint, claiming a violation of their First Amendment rights. The team retains their rights while the decision is under appeal, and the Department of Justice’s filing is not a decision on the matter, but rather an endorsement of the patent office’s move. The DOJ says that the purpose of a registered trademark is essentially to limit the language rights of others, and that the team’s “free speech” argument shows faulty logic. Indeed, PFI and the ACLU both admit that canceling PFI’s registrations would result in reducing PFI’s ability to restrict the speech of others. […] These admissions doom PFI’s First Amendment argument. Making it “easier for other people” to use words and symbols, and allowing them to do so without first obtaining a license from PFI, means that more speech would be legally permitted by canceling the registrations. The DOJ also says the Redskins have conflated the meaning of “trademark” and a “registered trademark,” possibly to misconstrue the impact of the repeal. PFI engages in unsupported, whopping hyperbole when it asserts that “[w]ithout a federal registration, enforcement of trademark rights becomes exponentially more burdensome.” A registration adds little and possibly no valuable to a widely known trademark. […] As noted, the owner of an unregistered mark may bring an infringement action under the Lanham Act and the common law for injunction or damages. The Redskins (and the ACLU) have argued that the Lanham Act, which prohibits the government from registering trademarks for, among other things, language that disparages a group’s racial identity, is a flimsy and inconsistently applied facet of trademark law. In the memo, the DOJ ardently defends the Lanham Act, and says the argument is unfairly taken out of context. While it may have other substantial interests as well, the Government certainly has a substantial interest in dissociating itself from commercial trademarks that may disparage fellow American citizens or others, especially marks that may disparage based on ethnicity or race. The Redskins have argued that saying their name “may disparage” Native Americans is too vague, but the DOJ lists a handful of examples of equally “vague” language that have been deemed suitable by the Supreme Court. Whether the term “redskins” may disparage Native Americans is no more vague than numerous other statutory and regulatory questions that courts have upheld against vagueness challenges. […] Further, when it applied for its registrations, PFI was fully on notice that its marks contained matter that may disparage. Dictionaries before and during the time when PFI obtained its registrations stated that “redskin” is an offensive term. Since November 1992, Examining Attorneys have refused at least twelve applications on grounds that “redskins” may disparage. Seven of these refusals involved PFI applications. In layman’s terms, the DOJ is telling the team that they can retain the name and image, but without the guarantee of exclusive rights. The DOJ argues that the team has attempted to misrepresent the rights they will retain without their commercial trademark registrations. A hearing between the parties has been scheduled for June 24.